US Supreme Court Renovations. 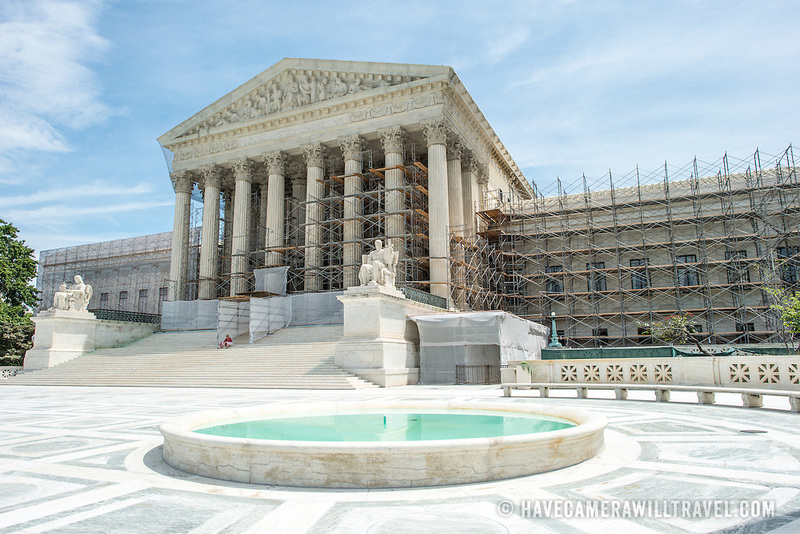 Renovations to the building of the US Supreme Court starting in the summer of 2012. Scaffolding covers much of the building and is being added to the front portico. The fountains have been turned off.